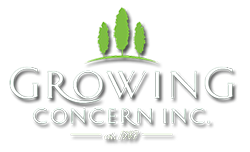 Growing Concern, Inc. provides brilliant hardscape design and installation. After an intricate planning process that maximizes potential while minimizing your budget, our installation team will lay all the necessary materials with no disturbance to your site. As with all our services, we design our hardscape projects with the future in mind keeping required maintenance to a minimum. can add to the details of one's property. Our installation process of paths and sidewalks are done with as little disruption to the property as possible. We develop a full plan with you on how to approach each step of the process as a means of letting you know what the different stages of construction are. Furthermore, our process is done with maintenance in mind. For our efforts, we will aim to maximize the impact of your hardscape while still managing to reduce your costs for the project and any maintenance in the future.